I haven’t posted anything but reviews in a while. But this had to be done. Enjoy. The Publishing Process in GIF Form | Nathan Bransford, Author. Part of the Man Booker Prize Longlist 2012 Series. There had to be a lecture. Why? Because there had always been one. There had been a Fred Toppler Lecture every year since the foundation had existed. They had had lectures on the Crisis in this and the Challenge of that. They had had an Enigma of, a Whither? and a Why?, three Prospects for and two Reconsiderations of. She watched him approach. He was still smiling. She was still smiling herself, she realised. ‘I cannot tell a lie,’ said Oliver. No – said Dr Wilfred. And so it begins. The premise is ridiculous. We know it’s ridiculous, Frayn knows it’s ridiculous. Its very absurdity is part, firstly, of the form of farce and, secondly, and more interestingly, part of Frayn’s reflection on the form of farce and the contingencies of human interaction. It’s hard to say quite how he does this without giving some crucial plot points away. In Skios characters have their sense of identity shaped by others’ expectations of them, who are, in turn, shaped by yet more expectations and apparent obligations in an endless reciprocal web of projected concerns. When one is already an impostor, that relationship can only unbalance one’s identity even further. As things become ever more, well, farcical, Frayn reveals everyone to be, in some sense, something of an impostor, including the Foundation itself. What is striking is how self-interested everyone is, whilst still being so affected by others’ opinions as to their worth and identity. Wilfred and Fox are polar opposites: one the man of science, committed to a strict brand of determinism, the other so unpredictable in his actions as to verge on the pathological. Wilfred doesn’t just believe in science’s capacity to unearth the chains of cause and effect underlying everything, he is also professionally committed to its measured management. It is this issue of the nature of one event’s relationship to another that lies at the heart of farce, and Frayn plays each character’s approach to life off the other, culminating in something of a step back and reflection on the form itself. Thus the absurdity of the initial premise plays into this reflection and is ultimately vindicated by the clear self-awareness of the form Frayn is working in. It is this aspect, more than any other, I suspect, that led to Skios’ Booker longlisting. 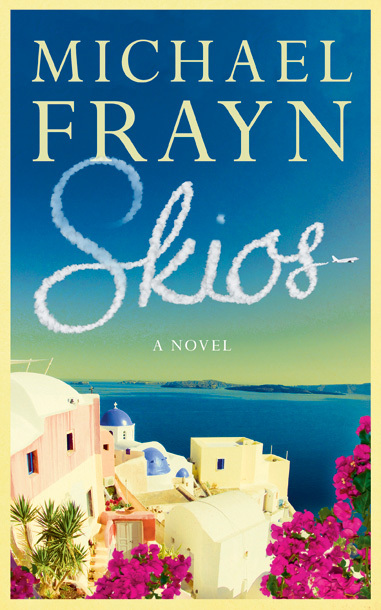 So Frayn’s novel is fundamentally a consideration of naming and fate – remember that image of Odysseus? – all wrapped up in a completely ridiculous, but pretty enjoyable, comedy of errors. The two Greek taxi drivers named Spiros and Stavros who are always mistaken for one another should give some indication of the tone. Skios is a well-crafted and fast-paced philosophical romp around a sun-drenched island populated with self-interested characters who see what they want to see, right to the end. Yesterday evening I made my rather soggy way to the lovely Crook Hall in Durham to attend the launch party for the Durham Book Festival 2012 which runs from 13th to 30th October. The plan had been to have a garden party, but the torrential rain meant that we moved inside and, after indulging in cake and wine, we all settled down in the medieval hall to hear Claire Malcolm, the Chief Executive of New Writing North and the Festival, introduce the programme for this year, before handing over to the poet Linda Francis who outlined her current plant and ecology-inspired project ‘Botanical’ and read a poem. Claire then introduced Rachel Joyce, the author of the Man Booker Longlisted The Unlikely Pilgrimage of Harold Fry (which I reviewed here). I thought I’d give a summary of the discussion which followed Rachel’s reading. Rachel, who apparently writes in a shed, had a successful career as an actress with the RSC and National Theatre before she began writing radio plays and adaptations for Radio 4 and BBC 2. Harold Fry grew out of a radio play that she began eight years ago for her father who had been told he would lose his battle with cancer. He never knew about it, but it eventually grew from a forty-five minute play into a Booker longlisted novel. That Rachel wrote the radio play for her father, in the hope of somehow keeping him alive, explains a lot about the way the novel turned out. It also shows how personal a writer she is. One of the things which came out of the discussion was the extent to which the experience of landscape and, I think, the Harold’s reticence comes directly from Rachel. Interestingly, despite the many comparisons made (by me amongst others) between Harold Fry and Pilgrims Progress, The Odyssey, The Canterbury Tales, and so on, Rachel explained that she never thought particularly explicitly about the her literary or religious predecessors; rather, this was a story about a fairly ordinary man, doing a pretty extraordinary thing, which, although likely inflected by the many tales floating around most people’s heads, was not conceived of in relation to them. As Claire Malcolm highlighted, Harold Fry exchanges darkness for humour throughout, often within the space of the page, which led to Rachel’s admission of a fairly intense love for farce and slapstick. More seriously, I think, is the intertwining of darkness and humour that runs through most ordinary lives and, again, it is with the ordinary, fleeting meetings of normal people that Rachel is most concerned: meetings which hint at unseen and deeply-felt cares and stories. This explains quite a lot about the meetings Harold has throughout the book. One story I particularly liked was that, as a mother of four, Rachel often has to wait for an empty house before she can retreat to her shed (whose walls were adorned with pages of the UK Road Map, much to her husband’s confusion when he discovered that it jumped from Bath to the Lake District). As a result, she has her children trained to take notes in the car in case an idea strikes at a moment when putting pen to paper would be inadvisable. Talking of writing, Rachel’s next book is apparently rather different. All she would tell us is that it is told from the point of view of two male voices, one of whom is a child who believes their mother to have done something awful. Complication ensues. The Festival has secured a three year funding agreement with Arts Council England which should help the twenty-two year old Festival grow further. I’ve really enjoyed the last few years and I think they have some fairly ambitious plans. The programme is now online and we’ve already booked as many tickets as we can afford (poor students etc.). I thought we had gone for a good spread, but it turns out that it’s mostly poetry. 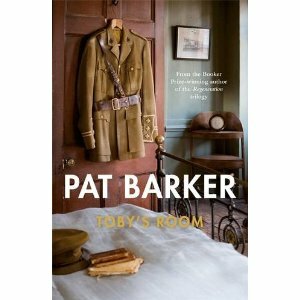 We ummed and aahed over Pat Barker talking about her new novel Toby’s Room (reviewed here), but didn’t book it in the end. I’d also have loved to go to Anne Stevenson at 80 and the evening with this year’s Festival Laureate Lorna Goodison amongst quite a few others. We’re looking forward to it. On the surface the Booker longlisted Swimming Home is another study of middle-class woes set in a really rather nice Provencal villa in the hills above Nice in 1994. Two couples, African ‘emporium’ owners Laura and Mitchell – awkwardly tall and overweight, respectively – and the famous poet Joe Jacobs and his war correspondent wife Isabel with their daughter, Nina, lounge around the swimming pool. Their thinly veiled dislike for one another is destabilised by the arrival of the young self-proclaimed botanist Kitty Finch, first glimpsed beneath the pool’s surface, her body warped by the water, naked and painfully thin. All this is observed from a neighbouring balcony by Dr Madeleine Sheridan who knows rather more about the history of Kitty’s mental health than is immediately apparent. Standing next to Kitty Finch was like being near a cork that had just popped out of a bottle. The first pop when gases seem to escape and everything is sprinkled for one second with something intoxicating. She is allowed to stay in the spare room by Isabel for reasons that are not at all clear. Like so much else, we cannot be sure if Isabel’s motivation is as opaque to her as it is the reader. As the book progresses it become clear that Levy is doing something far more interesting than the normal literary investigation of summer implosion in a pretty setting. Small misunderstandings paralyse because they momentarily undermine convention and thus disorientate. Yet Kitty’s frequent nakedness is so gross a breach that it goes almost unmentioned. Kitty strips people both literally and figuratively and thus precipitates a crisis. The couples’ unconscious and intuitive dissembling is derailed by a character ill enough to be both open to everything and willing to highlight anything. There is, however, some connection, some deep understanding, between Kitty and Joe, rooted in his writing, with which she is so obsessed, and a shared mental anguish, bound up with the poet’s confused Mittel-European heritage. How could she tell her that she and Joe were transmitting messages to each other when she didn’t understand it herself? Levy has cited John Cheever’s story The Swimmer as a strong influence on Swimming Home, and the correspondences abound once one is aware of the relationship. Cheever’s muscular prose is echoed in Levy’s lean translucent sentences which are anything but lucid. In her lambent style Levy alludes to so much, but renders so much mysterious. She emphasises the manner in which the desire for simplicity is its own negation, because that desire leads to repression, to communication without any substance but misunderstanding and anger and pain. Mitchell and Laura are far less carefree than they seem, Joe and Isabel so detached from one another, each, in their own way, slipping into depression. Perhaps the most interesting relationship is between Joe and Nina, who becomes central as the novel progresses. They never talked about his own childhood or his girlfriends. This was not so much an unspoken secret pact between them, more like having a tiny splinter of glass in the sole of her foot, always there, slightly painful, but she could live with it. This needling discomfort is mirrored in the reader. Throughout the book flashes of sincerity melt in the heat of the Summer and in the sheer danger of expression. Levy doesn’t allow a smooth transition between the internal and external for either her characters or the reader. This is part of what makes Swimming Home so unsettling. As with Neddy in The Swimmer, whose initial choice to swim the county seems to lack any clear rationale, so Levy clouds motivations and relationships as the theoretically transparent pool water becomes cloudy through mismanagement and inattention. With a Cubist fondness for allusion, her faceted prose creates a fluid space of shifting desires and dreams. That uncertainty is constantly brought to a head by Kitty, whose unpredictability disorientates everyone. No one felt able to intervene because they did not fully know what it was they were seeing. It reminded Nina of the day she watched an eclipse through a hole in coloured paper, careful not to be blinded by the sun. The violence lying behind, the seething plasma of desire, tamed by repression and the everyday: that is Levy’s concern; and behind that, death. Tom McCarthy flings Freudian terms about with abandon in the introduction, and he is right to highlight the shadow of death and neurosis beneath Levy’s writing. That darkness runs through Swimming Home, but it does not suffocate, even if it unnerves. It is the sheer lack of control that strikes one so forcefully. This can be seen in Levy’s physical concerns. Our bodies outrun us in both youth and old age. As Nina becomes increasingly aware of her body and its effect on others, so Madeleine becomes aware of her aches and pains and her increasing invisibility. The romantic intentions of the local café waiter Claude, so enamoured of Nina, stand in stark opposition to the disinterest of the waiters in Nice to Madeleine’s desperate and over-primped entreaties. Madeleine’s determination to strip away the layers of others’ deceit is as destructive and ill-willed as her aging. There are no simple answers to the problems in Swimming Home. Psychoanalysis hovers in the background, but does little good. So often to analyse is to obfuscate and destroy. That probably goes for reviews as well. And in that spirit I have to admit to certain, very limited, reservations about the ending or epilogue, where the surrealist family dreams of the epigraph return. It feels tacked on, as is the risk with epilogues, and lacks the weight of the rest of the book. Had the book ended in 1994 there would have been a symmetry to what is an intensely graceful work. But this is a small reservation. 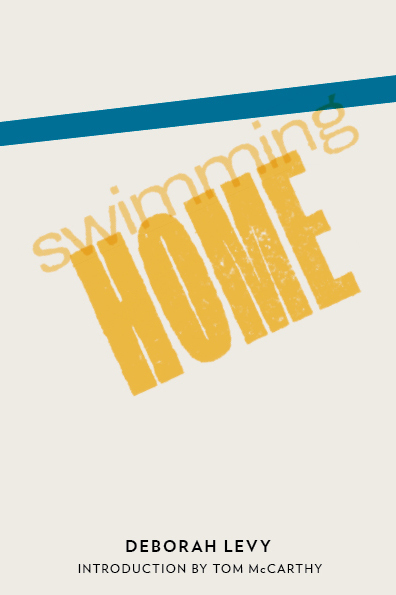 Swimming Home deserves its place on the Man Booker longlist. It provides few answers, but does so with such economical prose and circling, gestured characterisation, falling towards a deep sadness. 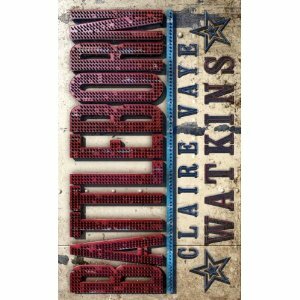 As only the third novel released by the small subscription-based publisher And Other Stories it is a real triumph (and beautifully produced). Definitely recommended. I have a lot of reading to do! 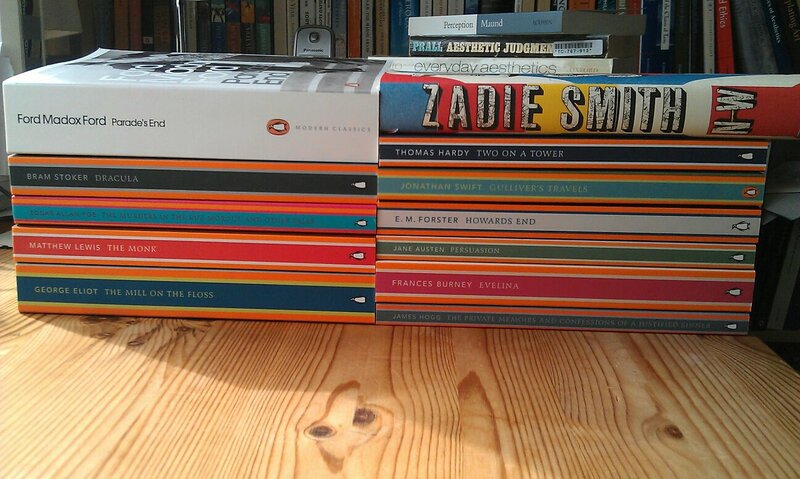 I’m very excited to have Zadie Smith’s NW before it comes out next month. I’ve read a couple of these in non-Penguin English Library editions, but in a pretty teenagerish way, so it will be lovely to revisit them, and to read some new things I really should have read already. 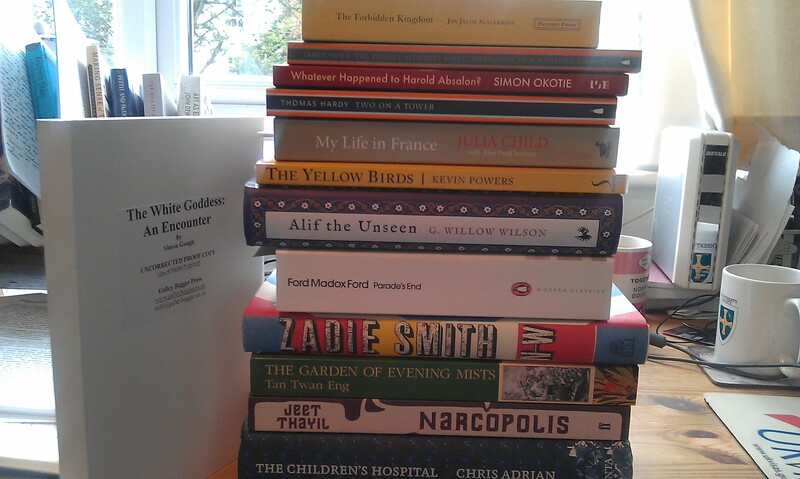 I’m also soldiering through the Booker Prize longlist at a fairly leisurely pace. I’m very excited to have Parade’s End, which I started once, but didn’t have the time to read properly. PhD work is fairly heavy at the moment, so I’m trying to balance everything. Reading and writing for this blog feels like a holiday though, so there will be plenty going on. The Durham Book Festival 2012 runs from 13th to 30th October and they have very kindly invited me to the programme launch next week. The Festival has gone from strength to strength in recent years, with Simon Armitage and Don Paterson filling the role of Festival Laureate in 2010 and 2011. I don’t know what’s on the programme this year, but I really enjoyed 2011, and I’ll be going along to as many events as I can (writing, teaching, stuff permitting). The Booker Prize Longlisted Rachel Joyce will be reading at the launch and I’ll write a little report on that next week. I’m looking forward to it.